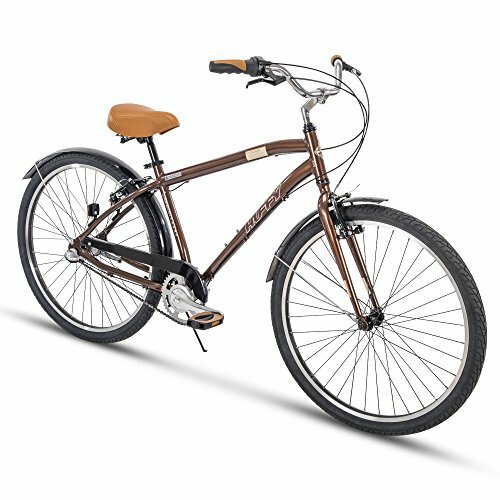 Huffy Bikes Reviews: My Top Favorite Huffy Bicycles for Sale! 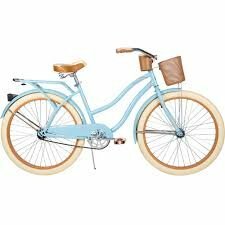 Huffy Bikes: Beautiful and Affordable Lightweight Cruiser Bicycles for Men and Women! If you are on a budget but would love to buy a nice bicycle for a fair price, then I think you should get a Huffy bicycle! They are among the cheapest bikes out there! (As a matter of fact I just bought another Huffy cruiser bike for myself a couple of weeks ago! 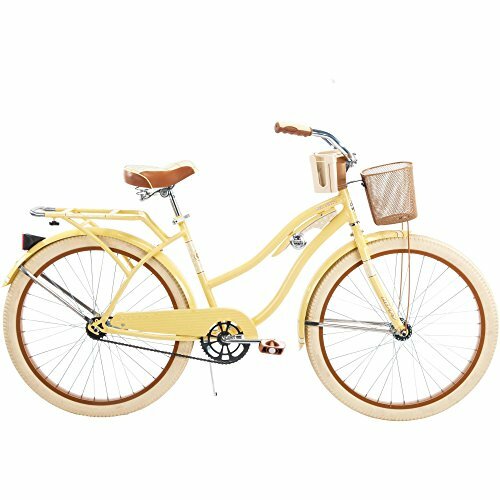 How gorgeous is this yellow Huffy cruiser bike see in this picture? I love this pretty butter yellow color! Doesn’t it look like a very fancy and expensive beach cruiser bike? *Update on my green Huffy cruiser bike: I have been riding my Huffy bicycle now for the past six years almost and it’s still going strong! Even my father bought one for himself too and he is 76 years old! The best feature in our opinion is how lightweight and smooth it rides. It does make a little cranking noise when riding. It comes from the seat, which by the way is ultra-comfy! 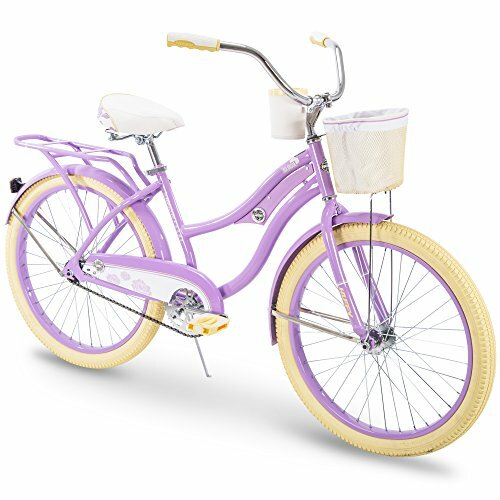 This is a very cool looking Huffy bike for girls and women with a fun basket! I love this gorgeous bright turquoise blue, and cream color combination! It has coaster brakes and it comes with the front basket too! Perfect to ride right along with your kids! As you can see the handlebars are also nice and tall and the brown seat is very comfy! I also love the ‘retro’ look! The price is also fair. Gorgeous Huffy Bicycles for Men! 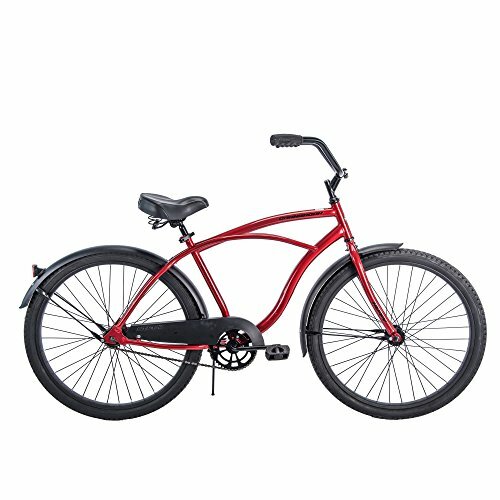 This is a gorgeous Huffy cruiser bicycle for men! Again it has a very nice and clean ‘retro’ style and you won’t believe how comfortable and pleasant to ride it is! 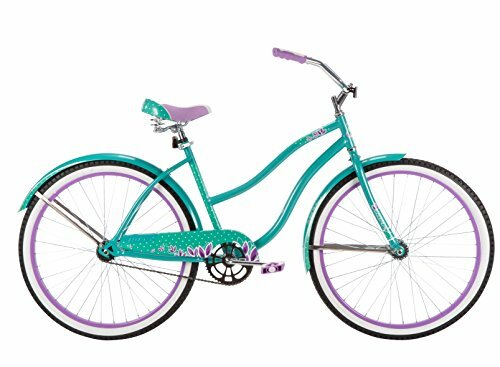 It is such a pretty and happy beach cruiser to ride! Perfect for riding nice and tall! (What I also love about my Huffy cruiser bike is that it is very smooth to ride! Gorgeous Gold Color Floral Print Huffy Bike for Girly Women! 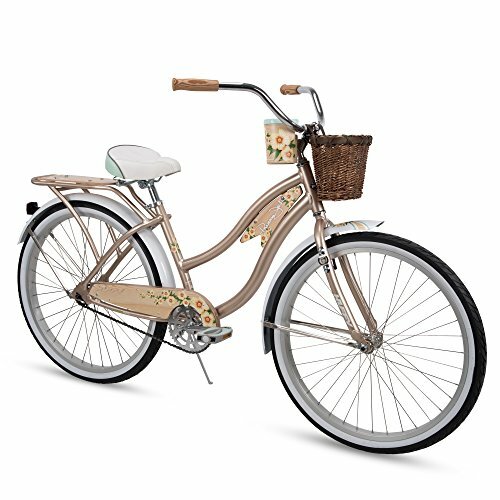 I had to show this beautiful gold color floral print Huffy cruiser bicycle for women! It is 26 inches, which is perfect for ladies, around 5 feet tall or more. I love this fun front basket! 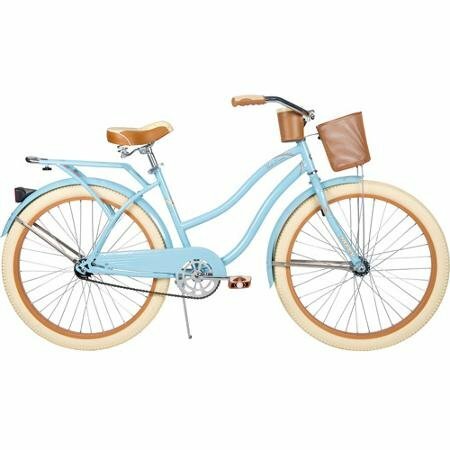 What a pretty Huffy bike for short women! I love this lilac color! Just by looking at it on the picture you can ‘feel’ it is fun and comfortable to ride! This is the Huffy bike I got for myself about six years ago! My husband was able to assemble it in about one hour! But it is extremely comfortable! I feel like I am riding a ‘spaceship’! It is super tall, the handlebars are just perfect and it is very smooth! Just be aware that this is a steel frame bicycle, so it will be heavy to carry! I love this cute ocean blue color too! Overall I am pretty happy with my Huffy bike and I give it an 8.5 out of 10! 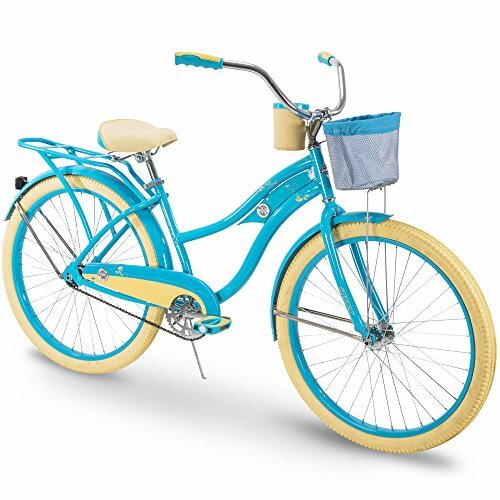 This is one of the cutest Huffy bikes for women out there in my opinion! I also love this cool ‘retro-style’ look and the nice and large seat and comfy handlebars! Will make a very nice spring gift idea for wives or daughters! This is one of the coolest Huffy bicycles for men! It has 3 speeds, it’s super lightweight to ride and it’s just perfect for commuting to work while saving gas!